Osteochondrosis (OC) is a pathologic process in growing cartilage. Its main feature is a disturbance of endochondral ossification that leads to excessive retention of cartilage. The increase of epiphyseal volume, in growing animals, occurs through endochondral ossification within the epiphyseal cartilage. Multiplication of cartilage cells within a germinal layer leads to thickening of the growth cartilage towards the metaphysis. As the cartilage grows, the cells left in the newly formed matrix undergo a maturation, or degenerative process, while the ground substance becomes mineralized. Capillary buds then invade the mineralized cartilage from the metaphysis, following a front of chondroclasts that remove the cartilage. The latter is then replaced by bony tissue, synthesized by osteoblasts around the buds. Thus, normal growth of long bones results from a precise balance between cartilage growth and its gradual replacement by bone. Osteochondrosis can occur in any particular point within the cartilage and lead to a failure of the phenomena allowing capillary invasion and replacement of the cartilage by bone. Consequently, the cartilage tissue becomes abnormally thickened in that area. The process can be self-limiting. 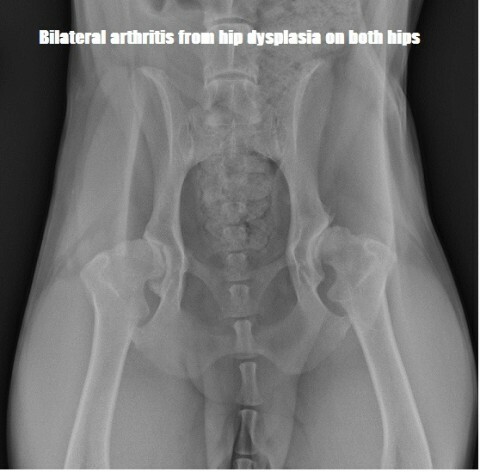 In this case, it remains clinically silent, although it may be detected as an incidental finding on survey radiographs. It may, on the other hand, evolve into a more significant lesion, associated with inflammation and clinical symptoms: this is referred to as “osteochondritis dissecans” (OCD). 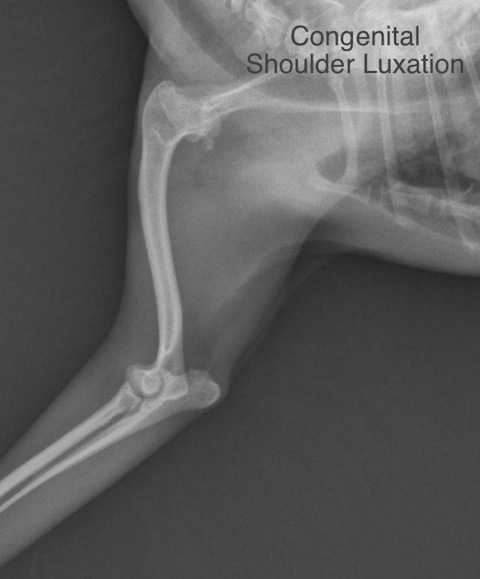 In shoulder OCD, the caudal aspect of the humeral head is usually affected. The epiphyseal cartilage is avascular, so that it only receives its nutrition via osmosis from the synovial fluid. In cases of OCD, the cartilage thickens markedly and the diffusion of nutrients into its deeper portion is poor, leading to degeneration and necrosis of the fragile cartilage cells. A fissure may develop at the necrotic site. Initially limited to the depth of the cartilage, it gradually extends towards the articular surface. This micro-fracture corresponds to the osteochondritis stage and is referred to as ‘dissecans’ (‘dissecting’) due to the formation of cartilage flaps separating from the subchondral bone. If a flap is completely detached, it may become free within the joint, forming one or more ‘joint mice,’ which may become localised in any joint recesses, though more particularly in the caudal recess or in the bicipital groove in the shoulder. A joint mouse can occasionally be gradually resorbed, or increase in size and become mineralised. Cartilage fissuring and the resulting cartilage breakdown products released into the synovial fluid contribute to inflammation and pain. Invasion of the cracks by synovial fluid, thus coming into contact with subchondral bone also promotes inflammation. Clinical signs of lameness may occur at this point as lameness and pain become evident once synovial fluid establishes contact with subchondral bone. 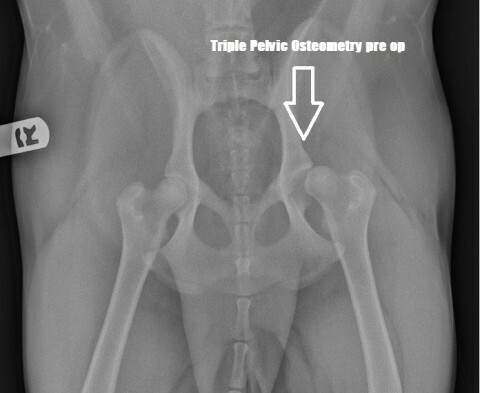 Osteochondrosis is a common and serious problem in many breeds of dogs. Large and giant breeds, especially Great Dane, Labrador Retriever, Golden Retriever, Newfoundland, Rottweiler, Bernese Mountain dog, English Setter, and Old English Sheepdog are most commonly affected. The age of onset of clinical signs is typically 4-8 months of age and bilateral shoulder involvement is seen in up to 67% of cases presented for evaluation. Males are more commonly affected than females. The cause of OCD is considered to be multifactorial. Trauma, hereditary factors, rapid growth, nutritional factors and ischemia all seem to contribute to the pathogenesis of OCD. The initial clinical symptoms exhibited by dogs afflicted with OCD may be subtle and difficult to detect. Often times the dog may demonstrate nothing more than stiffness after rest which resolves relatively quickly, but typically the lameness worsens with exercise. The severity of clinical signs does not always correlate with the extent of the radiographic evidence of disease. There may be episodes of spontaneous improvement for one or several weeks but the pain persists despite anti-inflammatory or analgesic therapy. Manipulation of the limb yields marked pain upon hyperextension of the scapulo-humeral joint and, to a lesser degree, upon forced flexion or deep palpation of the caudal joint recess. An accurate diagnosis is usually achieved with survey radiography, a mediolateral projection being most useful. The shoulder joint should be isolated as well as possible to improve visualization of the caudal aspect of the humeral head. The affected limb is radiographed with firm traction placed on it to pull the shoulder cranially and ventrally to avoid superimposition of the neck and thorax. The opposite limb is pulled caudally to avoid any radiographic overlap while the affected thoracic limb is being evaluated. The typical radiographic appearance of OCD consists of an altered subchondral bone contour in the caudal aspect of the humeral head. It may be surrounded by a sclerotic bone area characterised by increased radiodensity and loss of trabecular pattern. Conservative treatment (non surgical) is controversial for this condition. 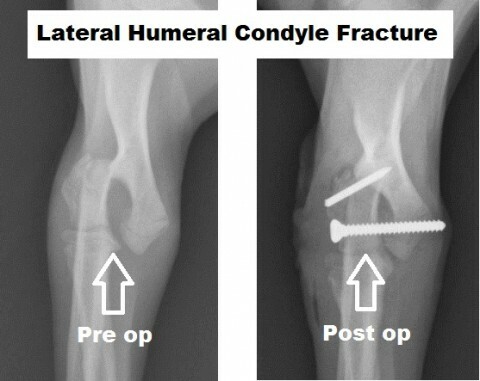 Regardless of the conservative approach used, a higher percentage of dogs go on to have permanent lameness and secondary joint changes associated with osteoarthritis when conservative treatment is used instead of a surgical approach. Conservative management of OCD usually consists of a combination of exercise restriction, body weight management, symptomatic pain management with analgesics and either steroidal or non-steroidal anti-inflammatory drugs, nutraceuticals and regimes of polysulfated glycosaminoglycans. The recent additions of Class IV laser therapy and platelet-rich plasma administration to the conservative treatment regime show promise in alleviating progressive arthritis usually observed with the conservative approach but definitive clinical studies have yet to be performed. None the less, the medical treatments described above are recommended in the postoperative recovery period to enhance and optimize the outcome of surgery. It is generally agreed that surgical intervention is the best treatment option in order to prevent continued degeneration of the joint. 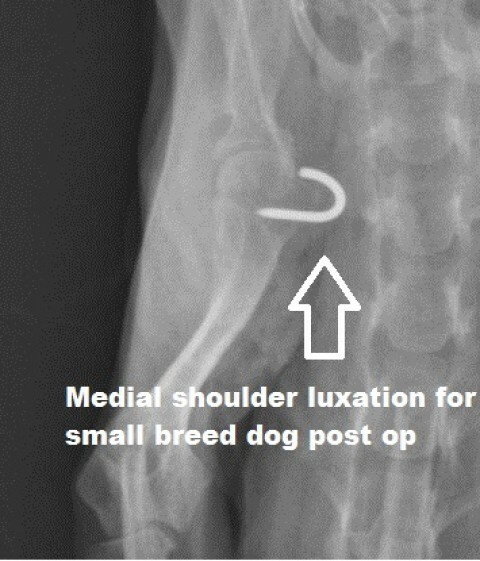 Given the course of the disease and the associated problems described earlier, it is probably not surprising that the treatment of choice for most cases of OCD is surgical removal of the cartilage flap as well over 90% of dogs diagnosed with OCD of the shoulder have a successful recovery with surgery. The caudolateral approach between the acromial and the scapular part of the deltoid muscle, with cranial retraction of the teres minor and caudal retraction of the teres major, is sufficient to provide adequate visualization of the lesion. This approach via a longitudinal myotomy of the acromial head of the deltoid was developed because of the minimal surgical trauma caused by this approach. Prior to its development, other more traumatic approaches (osteotomy of the acromial process, tenotomy of the infraspinatus and teres minor, etc), were being utilized but they were associated with a much higher postoperative morbidity. I’m proud to say that the technique was developed while I was a surgical resident and is still considered the least invasive approach to the shoulder joint for the treatment of OCD in use today (Schulman, A.J. ; Lusk, R.; Ettinger, S.J. ; Lippincott, C.L. 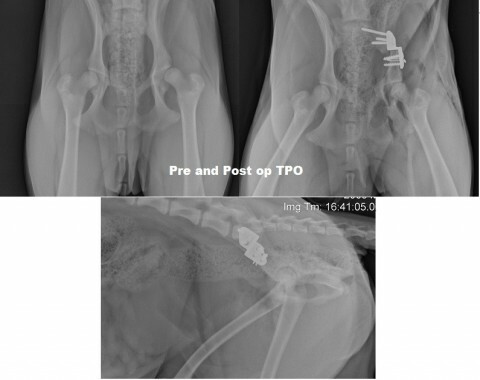 : Longitudinal Myotomy of the Acrimonial Head of the Deltoid: A Modified Approach for the Treatment of Osteochondritis Dessicans in the Dog. JAAHA 1986; 22: 475-479.). Once the affected area of the caudal humeral head is visualized, the cartilage flap is cut free and all the abnormal cartilage around the lesion is trimmed with a curette to create vertical walls. Aggressive curettage of the floor of the lesion is of questionable value. 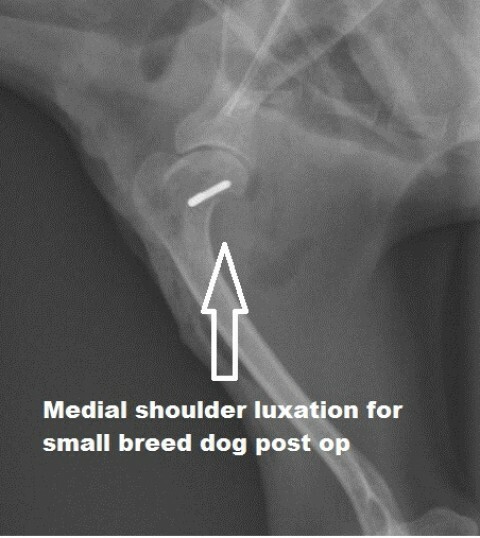 Multiple drill holes are created in the bed of the lesion (forage) with a 1-2mm drill or a small kirschner wire to allow bleeding to occur in the subchondral bone. This enhances the migration of pleuropotential stem cells into the damaged area to stimulate the formation of fibrocartilage in the articular surface defect. The joint is then lavaged to help flush out any remaining debris, including free fragments of cartilage which should always be looked for in the caudal cul-de-sac of the joint. The prognosis for shoulder OCD is usually excellent. 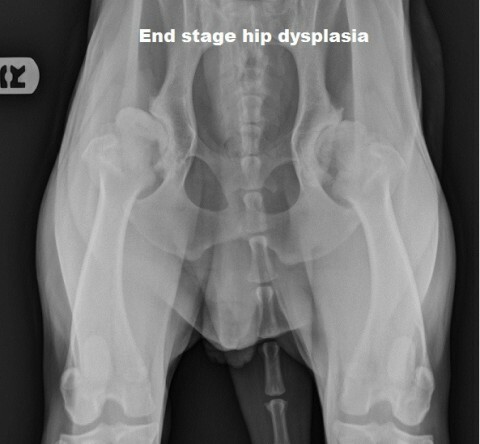 Dogs with this disease often return to normal function after surgery, unless the lesion has been long-standing and significant degenerative arthritis has already set in. Minimally invasive arthroscopic approaches are also successfully utilized to manage OCD lesions of the shoulder in addition to the standard arthrotomy approach described above. Surgical arthroscopy allows enhanced visualization of intra-articular structures and is also associated with limited postoperative morbidity. Arthroscopy entails less disruption of the periarticular soft tissue and decreased soft tissue disruption leads to less postoperative pain. This is especially true when multiple joints are involved and are operated arthroscopically under the same anesthetic procedure. Whether the standard arthrotomy or arthroscopic approach is utilized, the response of OCD to surgical intervention is rapid and rewarding. A good to excellent prognosis is warranted in the overwhelming majority of cases when combined with appropriate postoperative medical therapy. Jean-Pierre Genevois: Shoulder Osteochondrosis-Shoulder Synovial Chondromatosis-Shoulder Dysplasia. Main Proceedings, 27 WSAVA Congress. Schulman, A.J. ; Lusk, R.; Ettinger, S.J. ; Lippincott, C.L. 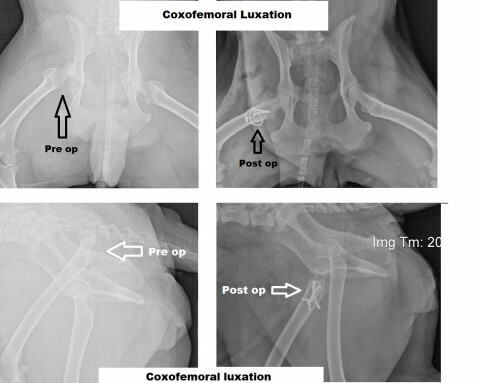 : Longitudinal Myotomy of the Acrimonial Head of the Deltoid: A Modified Approach for the Treatment of Osteochondritis Dessicans in the Dog. JAAHA 1986; 22: 475-479.